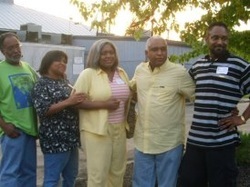 Lucille & Sammie Brooks Sr.
Brooks Barbeque was established by Lucille and Sammie Brooks Sr. in 1965. Mr. & Mrs. Brooks left behind 5 children: Sammie Brooks Jr., James Melvin Brooks, Christina Brooks McCants, Darrell Brooks, and Mary Ann Brooks Banksden. Mr. & Mrs. Brooks have 5 grandchildren, and 4 great grand children! have served the best food in the shoals area. 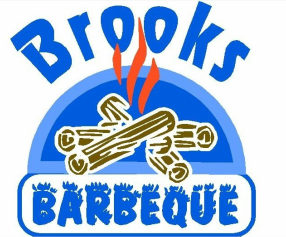 The Brooks family would like to thank all of our loyal customers, old and new! is a beloved son, brother, and uncle! He will be greatly missed! Melvin Brooks is second child of Lucille and Sammie Brooks, Sr. to pass away on Jan 27, 2014. 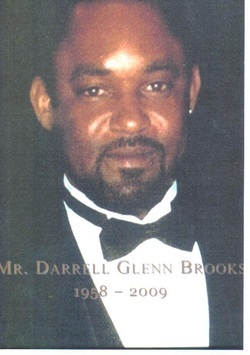 He also, like his younger (also deceased) brother Darrell Brooks was dedicated to his parents business. Now with only three out of five siblings living they will continue to remember their two brothers hard work and love that they gave to the business! Melvin along with Darrell will be truly missed! Melvin is a beloved son, brother, and uncle!